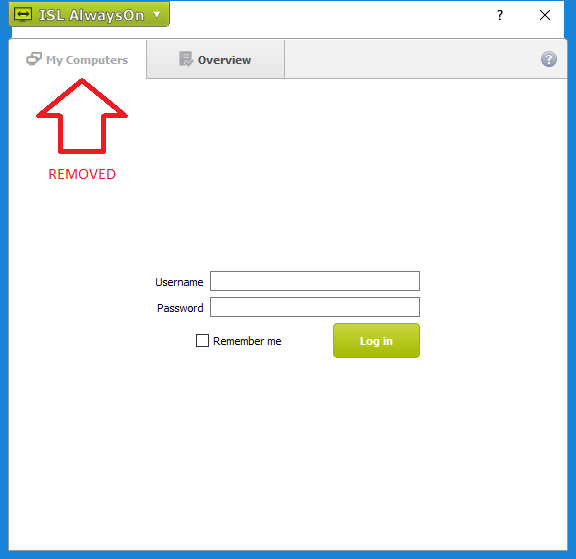 The new version of ISL AlwaysOn no longer includes “My Computers” tab, so connecting to a remote computer from there is not possible anymore. To access computers on your list remotely, download ISL Light 4, log in and go to “Computers” tab. 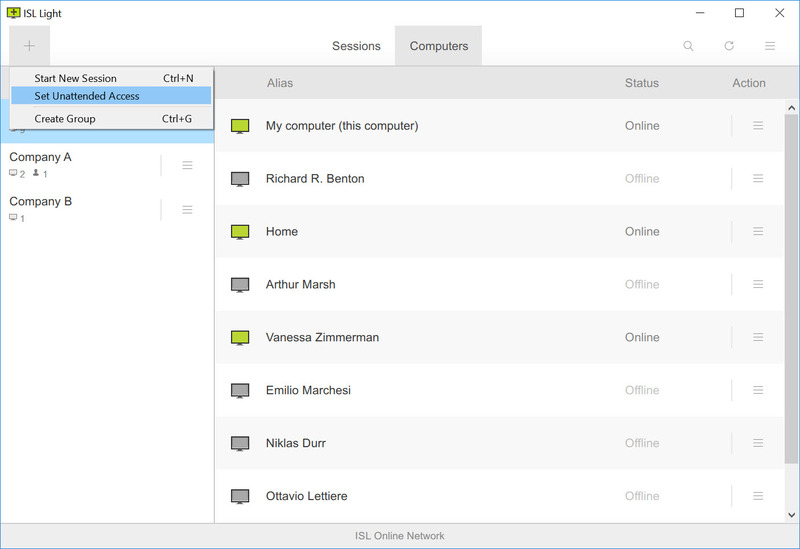 Users that haven’t yet switched to ISL Light 4, released in 2014, were connecting to their remote computers from ISL AlwaysOn, which until recently allowed this option. How do I access my remote computers? 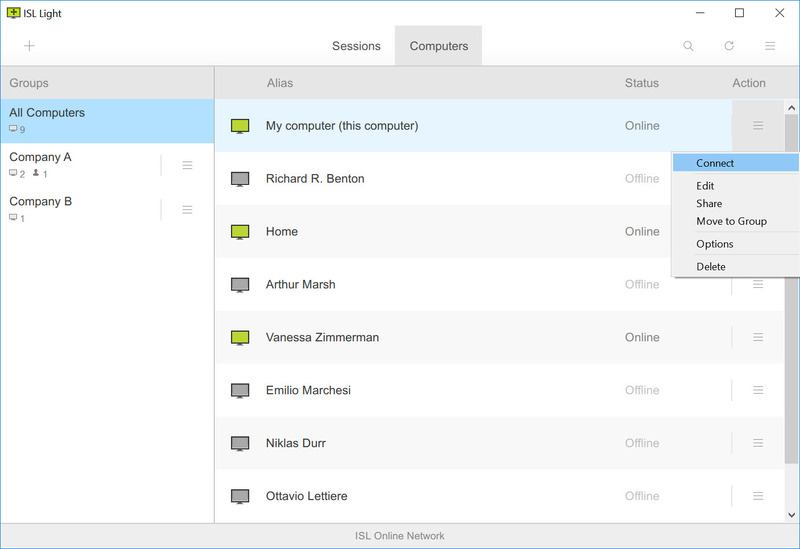 ISL Light 4 is a powerful IT support solution with a modern UX design which allows a seamless user experience and offers the most secure way to access your remote computers. Log in and click on “Computers” tab. Find a computer you want to access, click on the hamburger icon on its right and connect. It is very easy to add a new computer in ISL Light 4. Select “Set unattended access” and send a prewritten email including the “Allow access” link to your client. When the remote user installs ISL AlwaysOn on their computer, the new computer will appear in your list. If you want to add a new computer to your list, click on the “+” in the top left corner and select “Set Unattended Access”. Once you have added a new computer to your list you can edit its name, share it with others or add it to a group of computers. Why “My Computers” tab was removed from ISL AlwaysOn? The role of the ISL AlwaysOn program was shifted towards the “remote access agent”. The sole purpose of the agent is managing the remote accessibility of the computer. In that role, there is no place for user login, browsing the list of computers and connecting to them. ISL AlwaysOn connect procedure was not the fastest or the latest way to connect to a remote computer. In order to offer all of our users the best remote desktop experience, we invite all users to switch to ISL Light 4 which includes all of the latest updates, faster connections and better performance. This entry was posted in ISL AlwaysOn, remote access and tagged ISL AlwaysOn, ISL Light 4, my computers, New release, software update, unattended remote access. Bookmark the permalink.